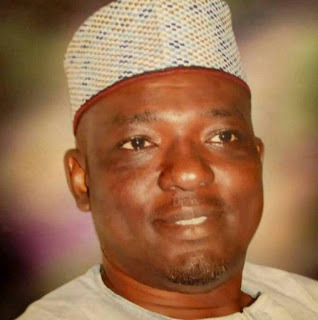 The Nigerian Guild of Editors (NGE) has expressed deep sense of loss and sadness over the death of a quintessential and amiable Nigerian Journalist, Alhaji Tukur Abdulrahman, Managing Director, New Nigerian Newspapers Limited, who passed on after a brief illness, reports ITRealms. Late Abdularahman, ITRealms gathered, died last Thursday, May 17, 2018 and was buried in his home town of Daura, Katsina State on Friday, May 18, according to Islamic rites, aged 58. The President of NGE, Mrs. Funke Egbemode and General-Secretary, Victoria Ibanga in a joint press statement made available to ITRealms, said the Guild is greatly saddened. “We are greatly saddened by his untimely passing and sincerely convey deep sympathies to members of his family, professional colleagues and friends who are devastated by his demise. Alhaji Abdulrahman until his sudden exit was an invaluable and respected Member of our prestigious association who contributed immensely to the growth of the Guild and development of the media industry in Nigeria, Africa and the whole world. He joined the NGE in 2000 and was elected as the Vice President-North in 2005 and again as Deputy President in 2008. He gave meritorious and impeccable service in both capacities. Loved and respected by all, he was amiable, jovial and kind-hearted. To others who worked closely with him, he was a true leader, a fine gentleman and a reliable and supportive friend indeed. Born on December 12, 1960 in Daura, Katsina State, North-west Nigeria, the late Abdulrahman attended Government College, Kaduna, graduating in the Class of 1977. He then proceeded to Bayero University, Kano, for his tertiary education and graduated in 1981. In 1983, he joined the New Nigerian Newspapers as a proofreader, then became a reporter and was assigned as the paper's State House Correspondent in 1997. His proficiency in that task saw him elevated and appointed in January 2000 to the position of Editor of Gaskia Tafi Kwabo, a Hausa paper from the NNN stable. Six years later in March 2006, he was named the Editor of Daily New Nigerian and in March 2011, he was appointed the Managing Director of the New Nigerian Newspapers Limited, a position he occupied until his death. The NGE joins the entire community of Editors in Nigeria to mourn one of its own and commiserates with his family, friends and colleagues in the New Nigerian Newspapers. He is survived by his wife, Jamila, and children. “To the beloved family he left behind, please accept our sincere condolences,” NGE leadership said.